German-born designer Tamara Comolli stands for precious jewelry with a twist. Her collections are both glamorous and playful, presenting vibrant, precious gems and 18K gold in a refreshingly unconventional way. Radiating “Casual luxury”, the brand offers an amazing range of individual pieces to be combined for every occasion. 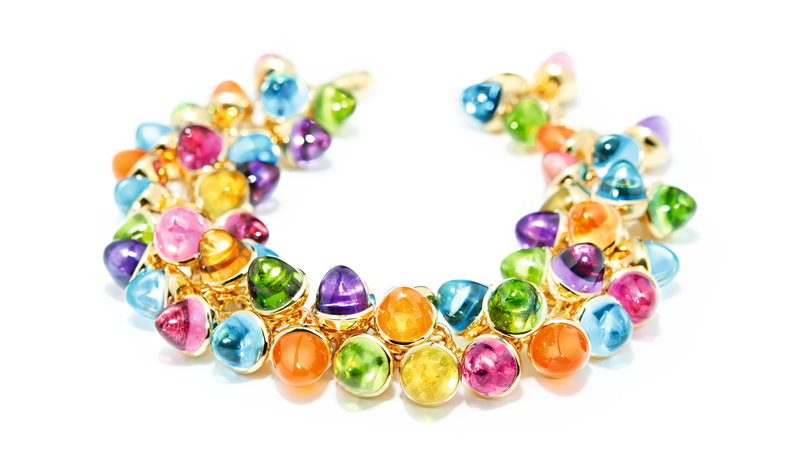 With 27 years in the industry, TAMARA COMOLLI is represented by over 100 jewelers and 7 own boutiques worldwide. Typical acorn shaped pendants come in three sizes: Choose from an endless palette of rare gemstones and diamonds. 2019 sees the launch of the new MIKADO FLAMENCO earrings and Charm bracelets. The collection that mainly features the drop symbol is called SIGNATURE. In 2019 this collection is complemented by new glamorous Wave earrings and pendants. A special capsule collection is represented by the new Sand Dollar designs. Stackable BOUTON rings in small and large, available in many gemstone combinations. In 2019 the BOUTON collection is complemented by beautiful BOUTON earrings, adorned with white diamonds as well as new colorful BOUTON Solitaire rings. Create a typical Boho look with leaf pendants and bracelets made of natural gemstones and precious wood. In 2019 new designs have been added, such as the INDIA Dream pendants and earrings. Extraordinary ring design with sliding princess cut Diamonds. Our famous, Award winning SNOWFLAKES LEAF pendants are available reversible or single-sided in gold with Diamonds and/or Sapphires. TAMARA COMOLLI FINE JEWELRY LTD. INC.